Maria A. Sedano-Leyva, 38, of Peachtree City, shown in surveillance photo provided by Peachtree City Police. Peachtree City police are looking for a woman who reportedly used her child to remove the cash from a purse she found at an area retailer. Photo/Peachtree City Police Department. Update – Nov. 27: The woman sought by Peachtree City Police for removing cash from a purse at a local retailer turned herself into police, according to police department spokesperson Odilia Bergh. Maria A. Sedano-Leyva, 38, was charged with theft by taking, according to Fayette County Jail records. 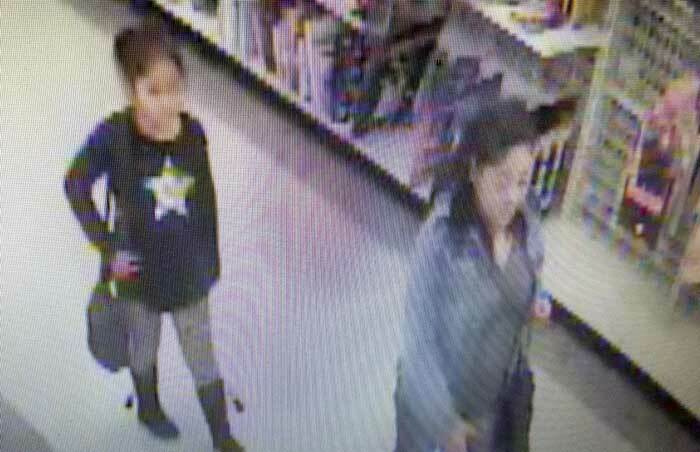 Original story: Peachtree City police would like to speak with a woman who reportedly used her child to help make off with the cash from a purse she found Oct. 23 at the Ross store in the Kedron Village retail area.